When Shane Wolf needed to escape New York City, he’d retreat to his farm in Pennsylvania. But he didn’t just get some rest and relaxation out of it. “Living and working at my rescue animal shelter, Shiloh Farm, taught me about the delicate balance of our ecosystem,” Wolf says. “The need for sustainable agriculture to feed the animals on my rescue farm made me more cognizant of the ecosystem for all of us on the planet. We do not live in a vacuum—there is an impact to everything we do and every choice we make.” That’s what lead him to launch his farm-to-body line Seed Phytonutrients. Even some of the products were created to boost sustainability and put the focus on natural ingredients. For example, take their Cleansing Mist. “We were inspired by dry shampoo that can help you save water by extending the time between showers, so we developed a cleansing mist that aims to freshen your skin and save water,” says Matthew Seal, Research & Development Partner, Unilever. “This product cleans off dirt without the need for water. We love it when you are on the go and don’t have time to have a shower during the day. For example, it helps cleans the sweat from a yoga class or refreshes you after a busy day at work before your evening plans.” Then there’s the 3-in-1 Benefit Oil that really shows off some of the natural ingredients they use. 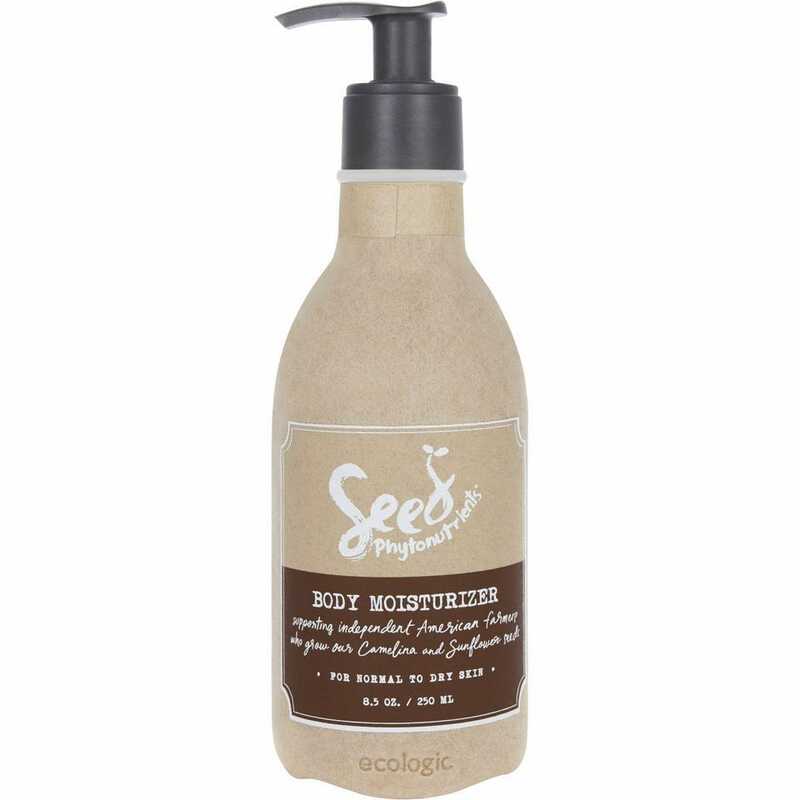 It’s silicone-free and rich in natural oils like coconut, avocado and grape seed. The multitasker is great for nourishing dry hair ends, as a pre-shampoo oil to treat damaged hair, or for giving strands natural shine. “We take our impact on the planet very seriously and want to minimize our carbon footprint as much as possible,” Seal says. To ensure the bottles are completely recyclable, they feature a special label adhesive. “The new adhesive we have used has been specifically designed to work with the recycling process we have in the USA,” says Seal. “The adhesive works like any other before and during use, but when this bottle goes to the recycling facility and gets cleaned, our adhesive becomes sensitive to this cleaning process and peels off quickly. This means that the plastic from the bottle can be fully recycled and used again and again.” Plus, all of their bottles are made from recycled materials, so they don’t need to use new plastic, saving greenhouse gases and reducing plastic waste. To lower their impact, they focus on ethically and naturally sourced ingredients. 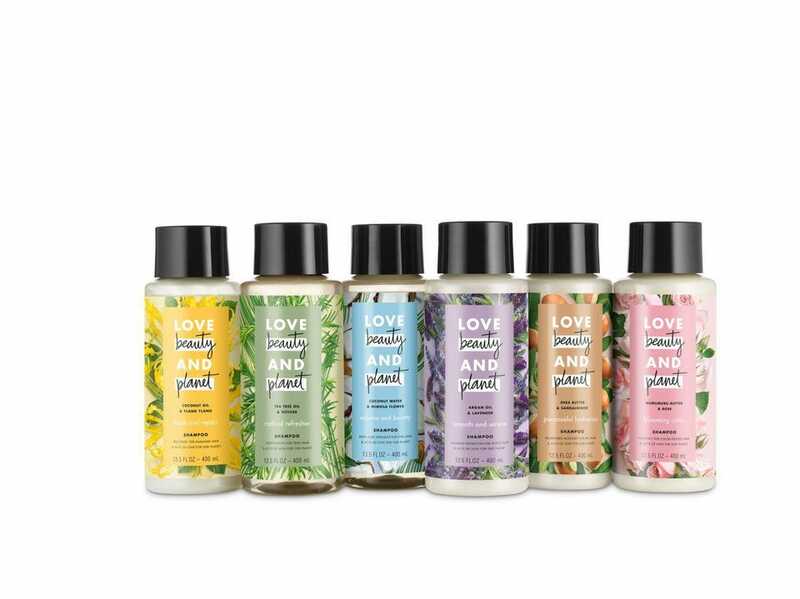 “Love Beauty and Planet uses a key fragrance ingredient in each of our products that comes from the responsible sourcing program established by our fragrance partner Givaudan, which ensures that these ingredients meet high standards in health and safety, social, environmental and business integrity,” Seal says. “Their approach aims to secure precious natural ingredients without contributing to the loss of biodiversity and while bolstering the livelihoods of the local partners who produce them.” Each wash product in the range contains organic coconut oil, and a hero ingredient such as Argan oil or murumuru butter. 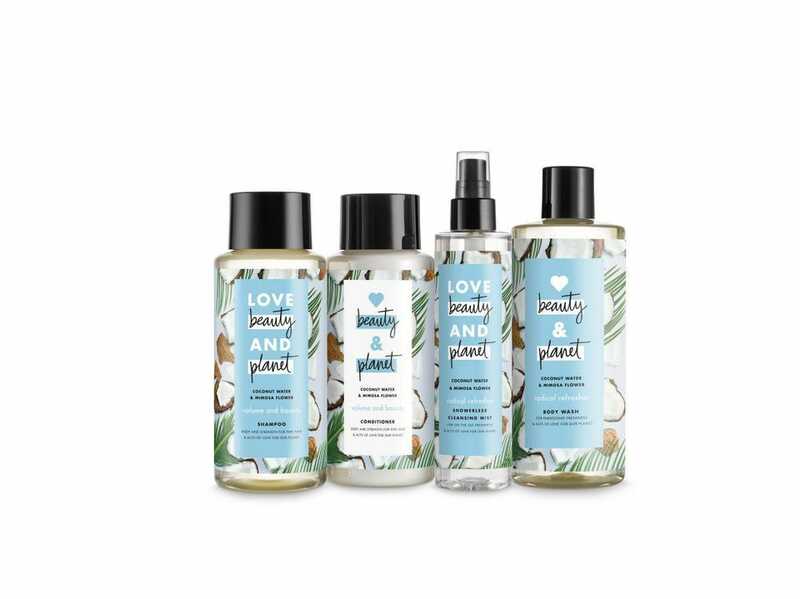 They were chosen not only for being great ingredients that are known for their various hair and skin benefits, but also because Love Beauty and Planet seeks to source them responsibly or organically. For example, their Murumuru Butter comes from partners who source it responsibly from the Amazon rainforest. To cut down on shower time, they have developed game-changing water-saving technology. “When you add water to rinse our conditioners out of your hair, our fast-rinse technology helps break down the conditioner into many smaller molecules quickly, which can rinse out of your hair faster and save you time and water,” Seal says. Are brands being unimaginative this Women’s Day?